According to the Children’s Heart Foundation, congenital heart defects (CHDs) are the leading birth defect around the world. In the United States, CHDs cause more infant mortality than any other illness or defect. One in 40,000 children born in this country–this medically advanced, wealthy country–is born with a CHD. When I check on my sleeping 8-year-old girl each night, I breathe a sigh of relief. Why? Because thousands of American babies born with CHDs don’t make it to their first birthday, let alone to their eighth. Each time we go to the cardiologist, I hold my breath. Why? Because thousands of children like Charlotte don’t make it to adulthood. Or if they do, they suffer developmental disorders and other complications, some of which are avoidable. We are the lucky ones. Charlotte was diagnosed in utero. As a result, she was transferred within 13 hours to then-named Children’s Memorial Hospital where, a week later, she underwent life-saving open heart surgery. She spent 49 days in the PICU. I have some traumatic memory blockage, but there were bumps in the road and times when we weren’t sure she’d come home to us. Again, we are the lucky ones. 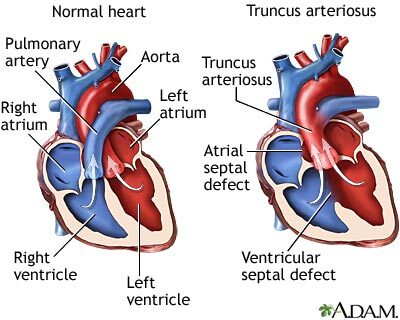 Because her heart suffered minimal muscle damage and because she had the least complicated possible version of Truncus Arteriosus, she has had best-case outcomes. She is healthy and happy. My cousin Lynn is a lucky one, too. A little more than 50 years ago, she was born with tetralogy of Fallot. If I have my facts straight, she was not diagnosed until she was nearly a year old. Her parents took her to Texas Children’s Hospital where she was the 11th child to undergo total repair. She is the mother of two college-age girls and a hero of mine for other reasons. I could name a half a dozen other lucky ones. But, today I want to talk about what it takes for ALL CHD children to become lucky ones. In utero detection isn’t always possible (depends on the kind of sonogram, technician skill, etc). And in utero detection is costly. But, there is an inexpensive test that can detect a heart problem on a newborn before they even leave the delivery room. It costs around $15, is non-invasive, and causes no pain or trauma. A simple pulse oximeter test–a bandaid-type wrap around a finger that can measure the saturation of oxygen in the bloodstream. Low blood oxygen indicates problems and leads to diagnosis. Every child in every state has a hearing screening before he or she goes home from the hospital. Why not a pulse oximeter test? There are 8 states where no legislation has mandated this test and two states where such legislation has failed. I’m happy to report that Illinois passed this legislation in September 2013. Thank goodness we knew about Charlotte’s heart–she would not have been routinely screened in 2005. I urge you to read more, educate yourself, and advocate for the health of all the children in your state. Then check out the American Academy of Pediatrics’ tracking map of state actions. Contact your legislators and urge them to take action. And consider donating to one of the only two organizations created and dedicated to funding research into congenital heart defects, Saving tiny Hearts Society (founded by Francie and Brian Paul, parents of another lucky one, the inimitable Joshua) and The Children’s Heart Foundation. Almost half all children and adults with complex congenital heart disease have neurological and developmental disabilities. There are an estimated 2,000,000 CHD survivors in the United States. For the first time, more than 50% of the CHD survivors are adults. 10% of all CHD cases evaluated in an Adult CHD clinic are first diagnosed in adulthood. 91,000 life years are lost each year in this country due to congenital heart defects. 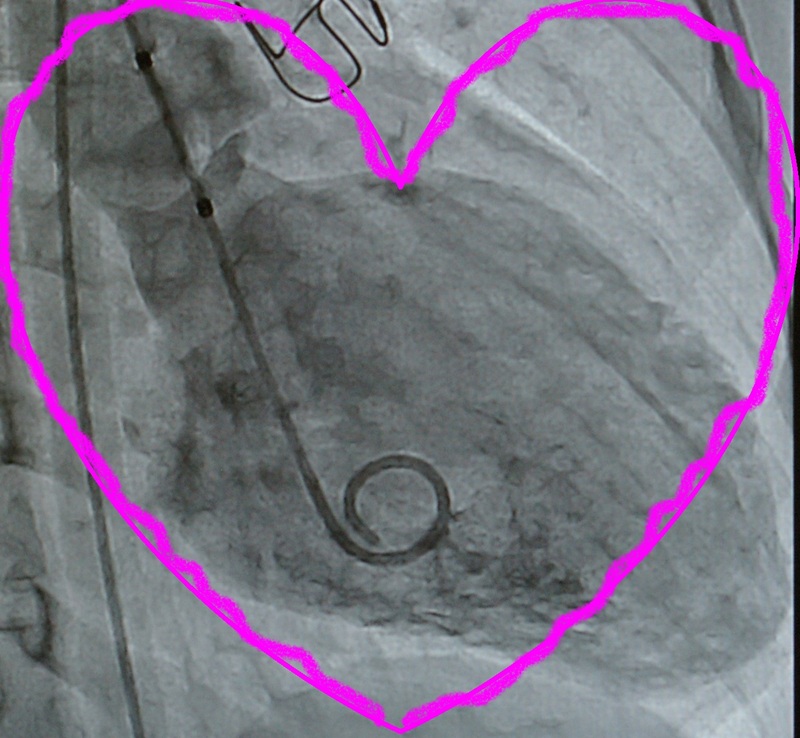 The cost for inpatient surgery to repair congenital heart defects exceeds $2.2 billion a year. While new studies show that the number of infant and child deaths caused by congenital heart defects is falling, these deaths still account for 30-50% of all infant mortality caused by birth defects. It is the leading cause of infant and childhood death. And those deaths can, many of them, be prevented. Charlotte’s heart looked like the one on the right when she was born. Now it looks closer to the one on the left. Shouldn’t every child have that chance? Categories: Ann and Robert Lurie Children's Hospital of Chicago, CHD, Children's Memorial Hospital, heart surgery | Tags: Ann and Robert H. Lurie Children's Hospital, Children's Heart Foundation, Children's Memorial Hospital, Congenital heart defect, Truncus Arteriosus | Permalink.